Matthew Primus is a former captain and coach of the Port Adelaide Football Club and one of the game’s finest ambassadors. During his playing years he was one of the AFL’s best players and leaders. Primus’ playing accolades include two time All-Australian awards, a John Cahill medal and wizard cup premiership. A strong and powerful ruckman, Primus’ career started with Fitzroy during their final year in the AFL. Following a highly successful debut season and the club’s demise he was drafted to the Port Adelaide Football Club as part of their inaugural campaign. After serving two years as deputy vice-captain and a further two as vice-captain he was named captain of the club in 2000 where he remained until 2004. After a career-best season in 2002, increasing his goal kicking tally to 23 for the season, Primus won the club’s best and fairest award however his following season was cruelled with injury, allowing him to play just nine games. 2004 was a heartbreak season for Primus after a serious knee injury early in the season would rule him out for the rest of the season, a season which would see the club win its inaugural premiership over the Brisbane Lions. Following an injury ravaged 2005 season, Primus announced his retirement. Soon after, Port Adelaide named him as an assistant coach to Mark Williams. During a disastrous 2010 season, Primus took over from Williams as caretaker coach mid-season. 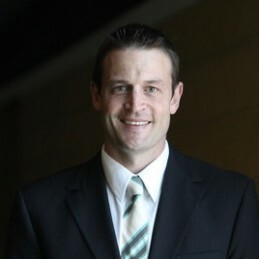 Primus would serve as senior coach of Port Adelaide, during a tough time for the club, until 2012. Following his stint with Port Adelaide he was soon swooped on by the Gold Coast Suns, named as an assistant coach to Guy Mckenna and serving as a mentor to young players.